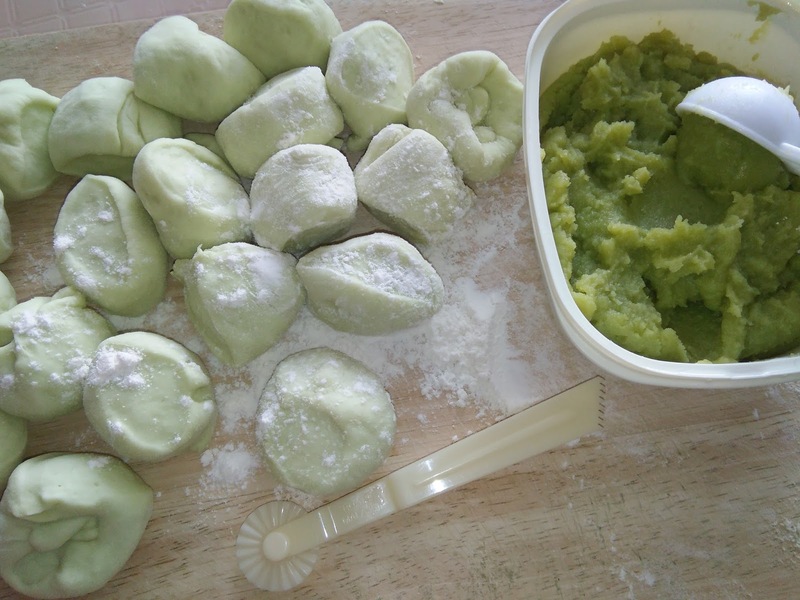 I have prepared the filling a day ahead and made the paus the next day. 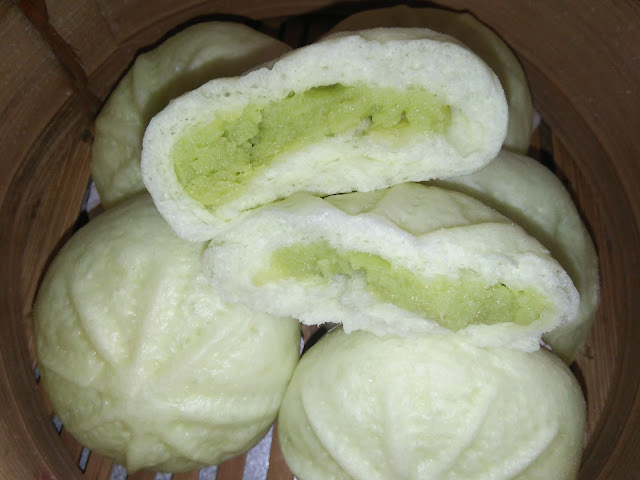 The pandan custard filling is easy to prepare and it is a tasty, good pau filling. 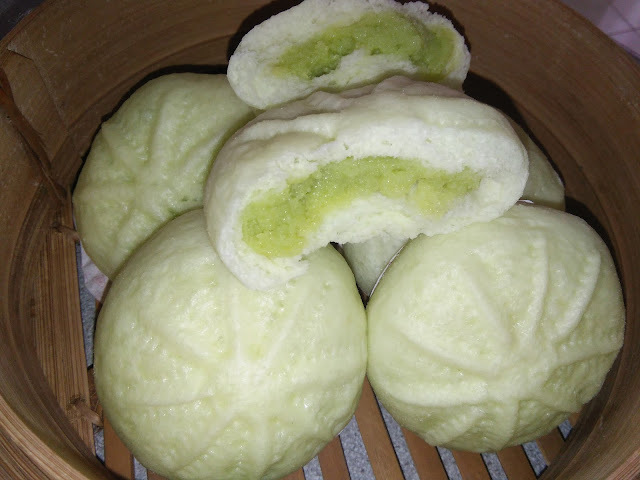 Very fragrant with the combination of butter and pandan juice and paste. 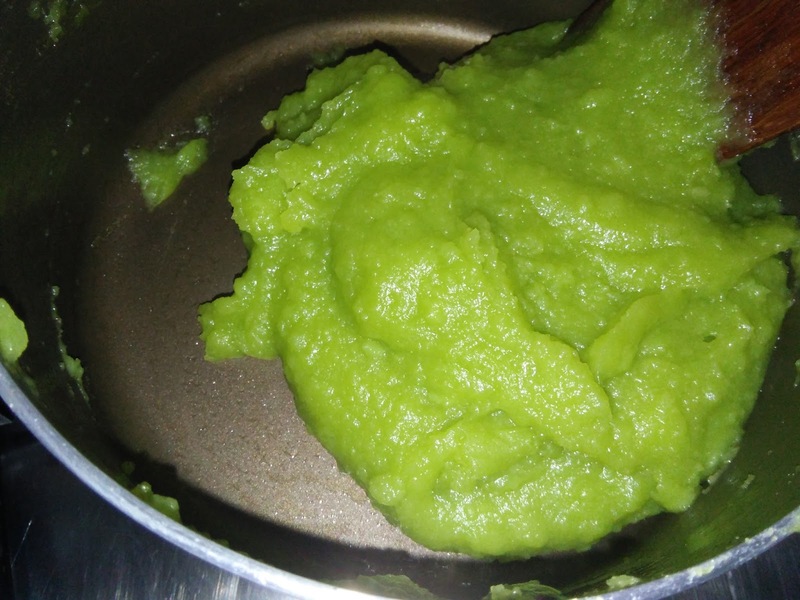 This pandan custard filling recipe is a keeper. Verdict - Pandan Custard Filling – easy to prepare, fragrant, smooth and tasty. 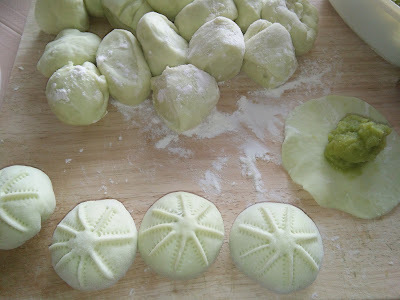 The pau skin dough is easy to handle and pleat but remember not to over proof it. It has a QQ [chewy] texture and complement well with the filling. 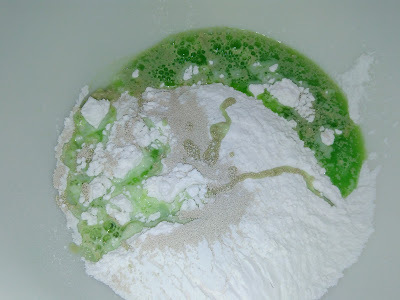 I have added some pandan paste for colour but you can omit it [it is not in the recipe]. For Filling – combine filling ingredients in a non stick pan. Stir till mixture is not lumpy. 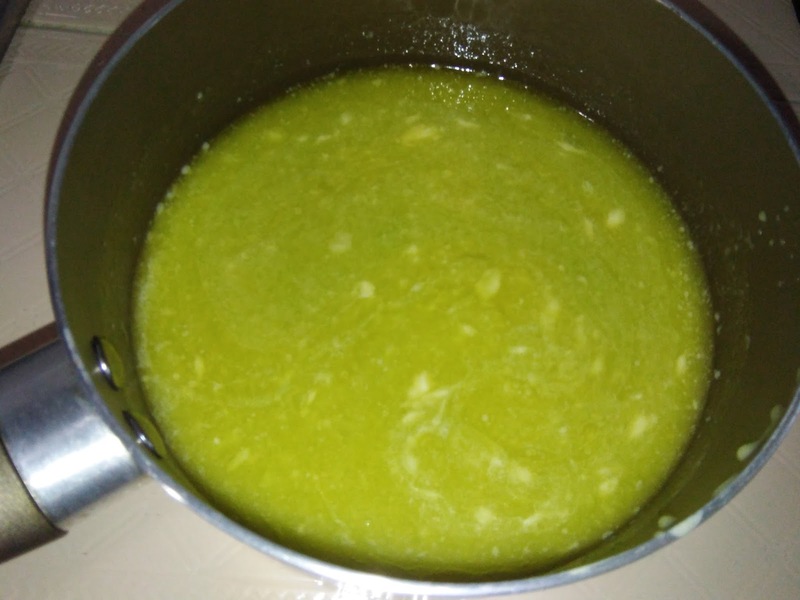 Stir fry until mixture over low medium heat until it has a thickened consistency [takes about 10 -15 minutes] . 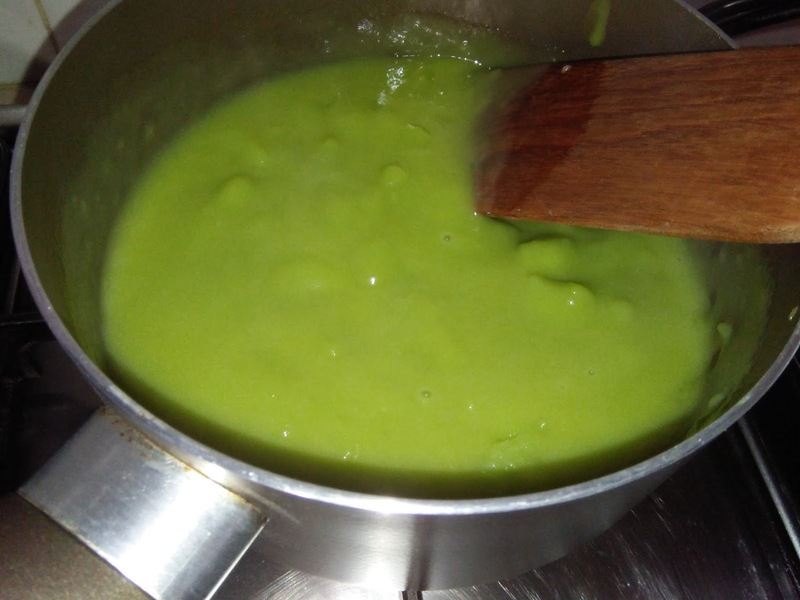 Turn off the heat, continue to stir until smooth. Dish up to cool. 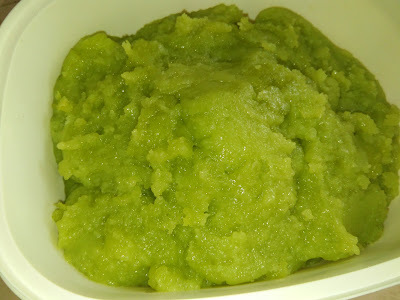 For Skin – Combine all the dry ingredients in a mixing bowl. 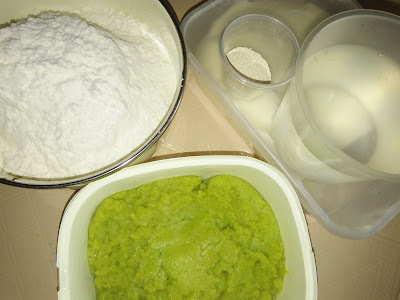 Gradually, add in the water and knead at low speed until well combined. 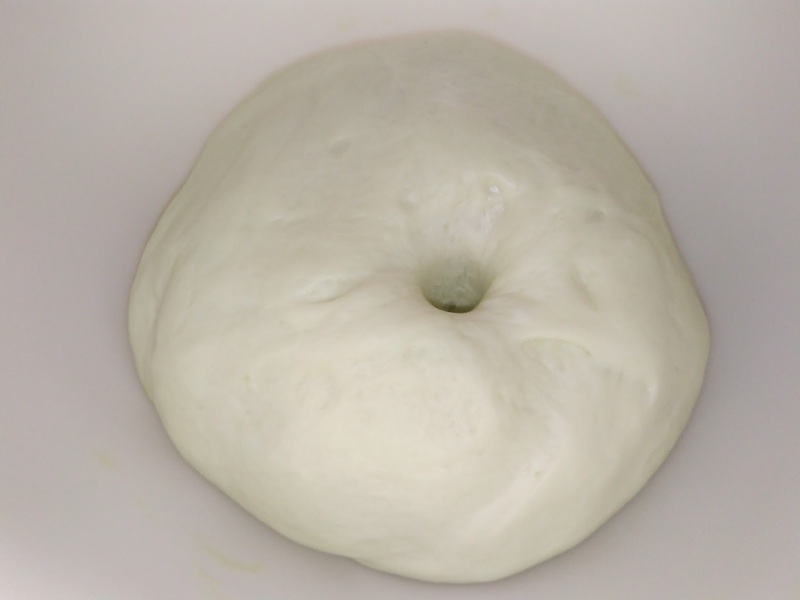 Add in the shortening and knead at medium speed until dough is soft, smooth and shiny. 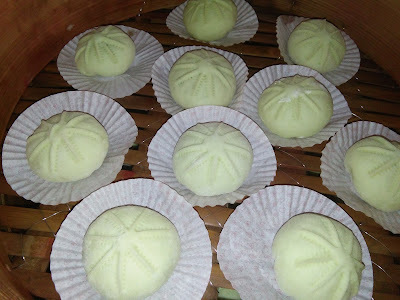 Shape into a ball, cover with a damp cloth and leave to proof for 20-30 minutes or double in size. Gather the dough before dividing it into 20 equal portions [25 gm]. To Shape – Make  into a round and flatten it, ensuring that the center is thicker than the sides. Place a piece of filling [about 1 tbsp] in the centre, pull the centre up to seal edges. Roll into a round ball or shape it according to your preference. Place on flattened paper case in a steaming tray. Make design with a pincer. Proof for 20 minutes. Bring water to a rapid boil, place steaming tray over boiling water, cover and steam for 10-12 minutes. 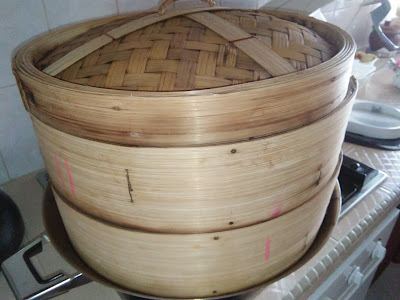 Off heat and leave the paus in the steamer for another 2-3 minutes before removing the lid and paus. 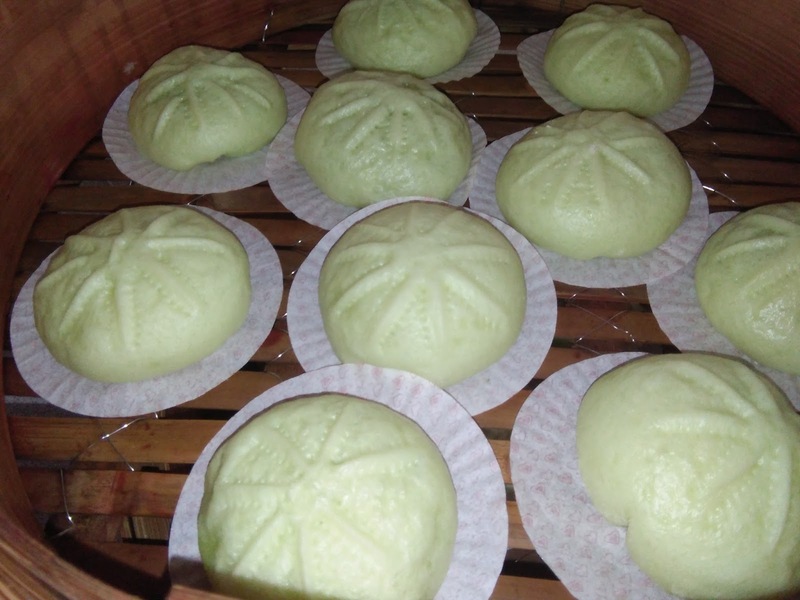 You are on a pau making mission this month! 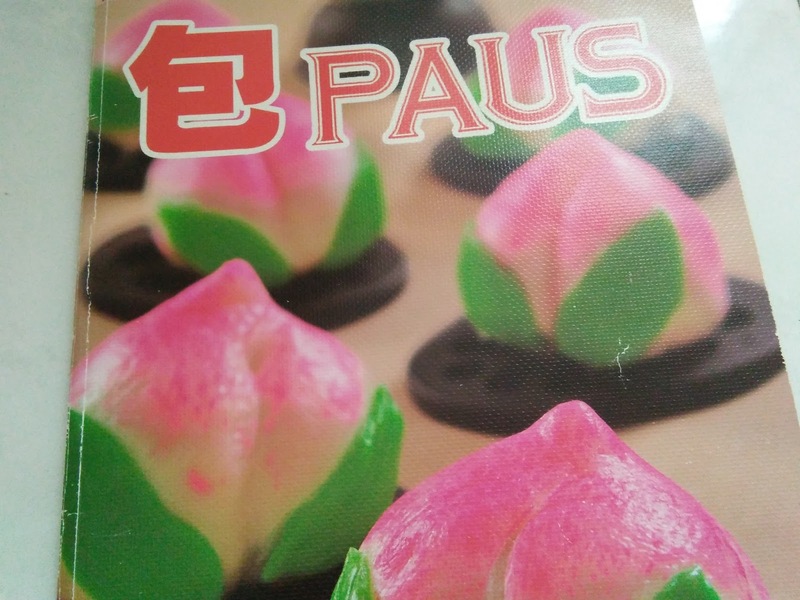 Your pau looks delicious, and I love pandan flavour! Hi Joyce, yes this month's cookbook is all about paus. The filling recipe looks simple but it is really good. 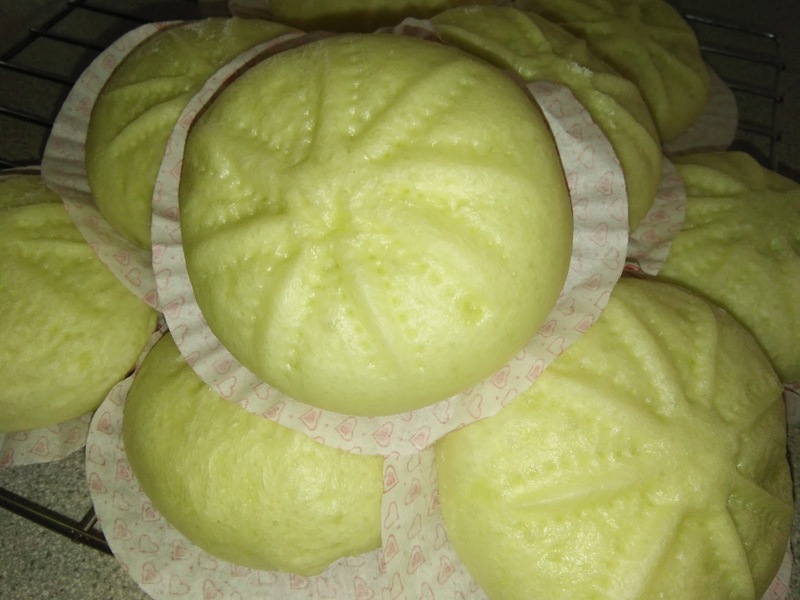 Fragrant and tasty while the pau skin texture is chewy and fluffy. Really a home-made version without unnecessary additions.